Desculpem meninas, não tenho tido muito tempo para passar nos vossos cantinhos, mas vou tentar pôr tudo em dia a partir de terça-feira. Sorry girls, I haven't beem having much time to stop by your blogs, but I'll try to catch up on Tuesday. Happy birthday gorgeous! Perfect look! happy birthday to you sweetheart!! 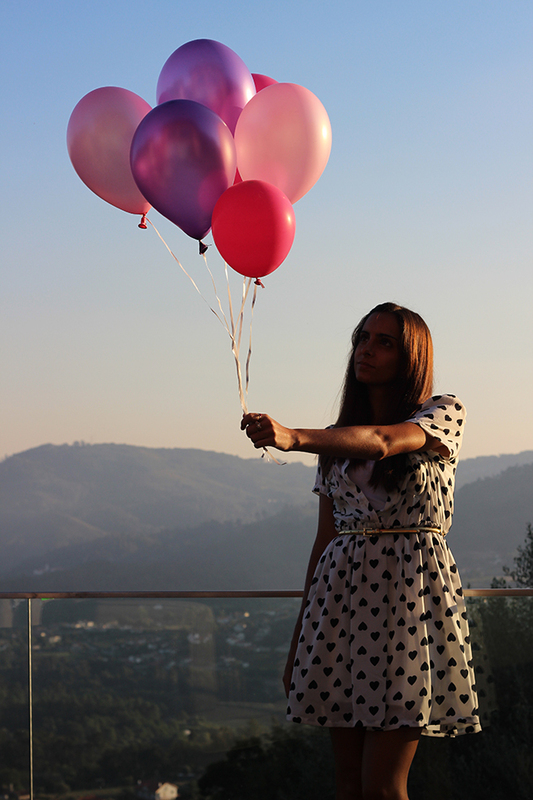 love your heart dress and the balloons!! may u hav a grt year ahead!! Parabéns 🎂🎈🎁!!! Desejo-te muitas felicidades e que todos os teus sonhos se realizem! Muitos Parabéns e que tenhas um dia super feliz :)!!! Happy Happy Birthday!!! Enjoy and have fun! Muitos Parabéns querida :D a primeira foto está fantástica! Happy Birthday! Wish you all the very best, and hope you have a great day today! Follow me on bloglovin and G+ and I will follow you back! I want to make some pics with the ballons too...so cute! Oh, parabéns atrasados! Estas linda!